In 1977, Henry Turley founded Henry Turley Company with the vision to develop better places for people to live, work and grow – starting with downtown Memphis. His success can be seen in scores of developments in and around downtown, including the Harbor Town community on Mud Island, the South Bluffs neighborhood, the Uptown area revitalization, and several condominium and office conversions. He is known for thinking ahead-of-the-curve and maintaining productive and deep connections with people in all spheres of the city. Henry Turley has been a devoted Memphian for decades. He can often be found sitting courtside at Memphis Grizzlies home games or trimming trees on a Saturday morning in the Uptown neighborhood. Henry currently sits on the Board of Directors for SunTrust Bank and on the Executive Board for Contemporary Media, the parent entity for Memphis Magazine and Memphis Flyer. He regularly and eagerly engages in community affairs and activities regarding politics and education. 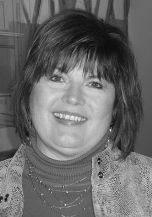 Debbie Woodard began her management career in 1971, working for Henry Turley before he founded Henry Turley Company. Currently, she is the Vice President of Property Management. Debbie’s attention to detail and careful consideration of all variables make her an invaluable addition to the executive team. 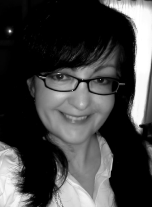 Debbie is responsible for developing and monitoring all management practices related to our commercial, residential and homeowner association properties. With her lengthy tenure and her broad knowledge of property management, Debbie is also the key to hiring, training and supervising all of our property managers and leasing agents. She is the “doer” behind Henry’s vision – ensuring that the management portfolio continues to meet all operational and financial goals. Debbie was a founding board member of the Apartment Association of Greater Memphis. She regularly completes continuing education courses through the Institute of Real Estate Management and AAGM, including courses on real estate management & investment and risk management & Fair Housing training. She is a lifelong Memphian and proud grandmother to six. Pete Evans is a native Memphian who shares the vision of the company’s founder. As Vice President of Operations and Construction for Henry Turley Company, Pete’s extensive skill set, his drive, and his warm personality allow him to successfully perform many, many roles within the Company. He monitors the maintenance of the existing buildings and also serves as a key team member in the development and construction of new projects. Additionally, Pete has overall responsibility for daily maintenance operations, and for the tenant and capital improvements for 20 commercial, retail, and residential mixed use properties (most of which are located in the downtown core). Additionally, he acts as a resource for two homeowner’s associations and for two residential properties for capital improvement and property enhancement projects. 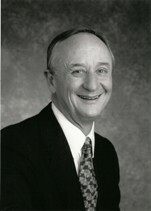 His tenure with Henry Turley Company includes 14 cumulative years from 1988 to 1993 and 2002 to 2011. From 1993 to 2001 Pete was employed at Arnold Palmer’s Bay Hill Club where he was instrumental in the successful completion of a $10 million multi-phased renovation and addition of the Bay Hill Club and Lodge in Orlando, Florida. 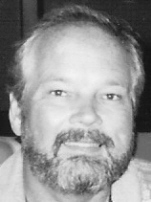 Pete’s professional affiliations and educational accreditations include: CEOE Designation (Certified Engineering Operations Executive) from the American Hotel/Motel Association; member of Refrigeration Service Engineer’s Society; Carrier Air-Conditioning Corporation and Memphis Vocational/Technical Institute for HVAC; EPA certification for HVACR. Lance Henderson graduated from Union University in Jackson, Tennessee. A native Memphian. Mr. Henderson spent the early part of his career working in Mortgage banking before moving into real estate. His past experience includes being the Chief Financial Officer for a Section 42 Multi-family Apartment Developer/Operator working in 8 states, a Construction and Financial Consultant concentrating on South Florida and a Home Builder. In addition, his financial experience includes working as Director of Mergers and Acquisition in both the Printing and Home Services industries and serving as CFO of the largest Home Healthcare provider in the state of Mississippi. Before joining Henry Turley Company in April of 2013 he was the Director of Financial Services for a Multi-family REIT where he was responsible for all Treasury operation, Debt Placement and long range forecasting. Mr. Henderson is a Licensed General Contractor in the State of Tennessee. Alex Turley joined the Henry Turley Company in October 2014. As the Vice President of Real Estate, he is responsible for overseeing the acquisition, development, sales and leasing of the company’s commercial portfolio, and for executing strategic acquisitions in support of existing and ongoing HTC development projects. A native Memphian with deeps roots in the community, Alex is also engaged in identifying new opportunities and creating new partnerships that align with the company’s mission of building community in those cities where we do our work. 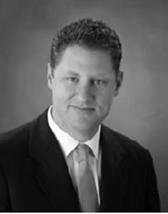 Before joining Henry Turley Company, Alex was Vice President of Retail Brokerage at CBRE Memphis. During his 10-year career at CBRE, Alex managed the brokerage and asset services sides of the company’s retail division across a four-state region. His primary responsibilities included building and land acquisitions, sales, lease and contract negotiations, financial analysis, multi-market dispositions, and infill redevelopment work. In 2011 and 2012 Alex was awarded back-to-back CBRE Memphis Broker of the Year awards. Alex has been named a Retail Power Player by the Memphis Business Quarterly Magazine, a MAAR Pinnacle Producer’s Club Member and 2013 Asset Broker of the Year, and is a multi-year winner of the Retail and Land Brokerage Pinnacle Award. He is also a past recipient pf the Memphis Business Journal’s Top 40 Under 40 award as well as the Commercial Appeal’s “Making a Difference” Award. Alex lives in Midtown with his wife and 2 children. Alexandra Zinn has been with Henry Turley Company since 2001. As the Vice President, Lauderdale-Greenlaw, she currently leads the joint venture with Belz Enterprises to revitalize the Uptown Memphis neighborhood just north of downtown and near St. Jude’s Children’s Hospital. Uptown is often cited as the most ambitious HOPE VI redevelopment in the country. Alexandra works closely with city officials in this public-private partnership, and she continues to play a pivotal role in the expansive transformation of 100 city blocks from depressed and blighted to vibrant and thriving. Uptown is now a mixed-income community with other 1,000 new apartments and single-family homes, as well as rehabbed historic, residential and commercial properties. Her experience is also brought to many other Company projects and developments. Additionally, Alexandra manages marketing and public relations activities for Henry Turley Company with an emphasis on e-marketing and internet presence. A native Australian, Alexandra worked in various fields including economics, technology and marketing before moving to the United States in 1999. She spent her first year here in Oxford, MS and then moved to Southaven to work in Memphis. Alexandra has one young daughter and various four-legged pets.